His reign of Evil is about to begin. 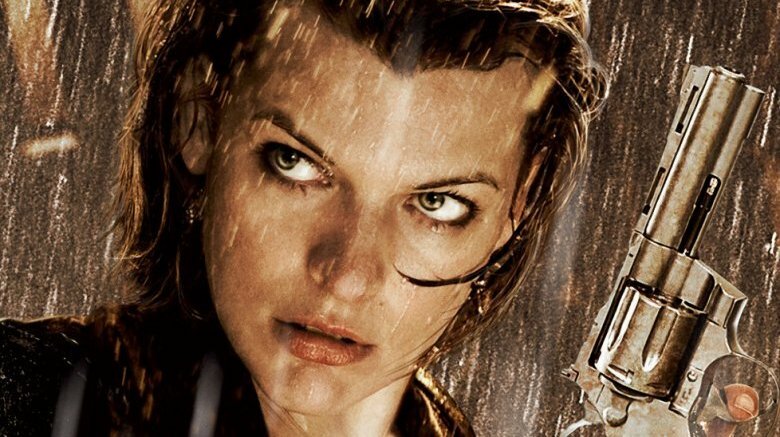 Constantin Film has tapped 47 Meters Down filmmaker Johannes Roberts to write and direct the studio's in-development Resident Evil reboot. Sources close to Variety confirmed the news, also noting that the film will feature an all-new cast and is expected to get behind cameras in 2019. News of a Resident Evil revival first surfaced in May 2017, when Constantin Film's chairman of the board Martin Moszkowicz announced during the 2017 Cannes Film Festival that the company was working on rebooting the franchise across six new films — a collection length to match the original Resident Evil film series that starred Milla Jovovich as Alice, a covert operative at the evil Umbrella Corporation. That franchise, based on Capcom's survival horror game series, started with 2002's Resident Evil, directed and produced by Jovovich's now-real-life husband Paul W.S. Anderson. It continued four other installments – Resident Evil: Apocalypse in 2004, Resident Evil: Extinction in 2007, Resident Evil: Afterlife in 2010, and Resident Evil: Retribution in 2012 — before closing on what was believed to be the definitive end: 2016's Resident Evil: The Final Chapter. Turns out, that "final chapter" was a big, fat lie, as just a year later, Constantin Film came forward with the reboot announcement. It's unclear exactly what the new Resident Evil film franchise will entail, but some might assume at this point that it will simply retread the ground the original one already did. After all, the Jovovich-led movie series only wrapped up a few years ago and the latest video game installment, Resident Evil 7: Biohazard, came out less than two years ago as of this writing. With so little time between the original franchise and the reboot, and not much fresh material in the source lore to reference, it's difficult to predict which direction the Resident Evil revival will go. For our part, we think Roberts would be wise to zero in the horror aspects of the game franchise and bring those to the big screen rather than focus on the action elements like the first six Resident Evil films did. His experience with the horror genre — having risen to fame with 47 Meters Down and worked on films like The Strangers: Prey at Night, Hellbreeder, Forest of the Damned, and The Other Side of the Door – would serve him well in that particular endeavor. Only time will tell whether the Resident Evil reboot will prove successful and work in a major way, or if it will fall harder than Sheva Alomar did in Resident Evil 5. Before he gets to work on the new Resident Evil flick, Roberts will have to finish up production on his sequel to 47 Meters Down, aptly (and, admittedly, hilariously) titled 47 Meters Down: The Next Chapter.